Win a Mini iPad – just by reading a book! 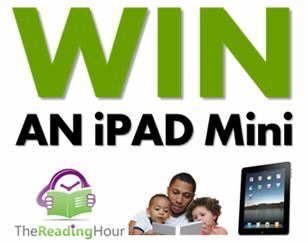 To be in the running to win one of two new iPad Minis, simply take a pic of yourself of reading with your child (under 12) during The Reading Hour on Tuesday 19 August 6-7pm and post it on the Libraries SA Facebook page for a chance to win! The Reading Hour kicks off Tuesday August 19th 6pm-7pm when people from all over Australia will simultaneously read with their children. 3) Provide your contact details via this link: https://www.surveymonkey.com/s/RHSA2014 We only need these details and you will be contacted if you are a winner. A photo album will be created of all entries submitted and Facebook users will be asked to vote on their favourite photos.